I hope you are all enjoying your Sunday. Pete and I just got back from our first ever visit to Costco. It was chaotic to say the least. Think appliances, giant apple tarts, Hershey's chocolate sauce, Calvin Klein underwear, Reece's Peanut butter cups, bagels, fresh seafood and more - all in bulk! We didn't go completely nuts, mainly stocking up on tinned tomatoes, passata and a few household items. Pete also managed to snare a mega sized bottle of his favourite hot sauce - Tabasco. This week's Cider Sunday post features two ciders. 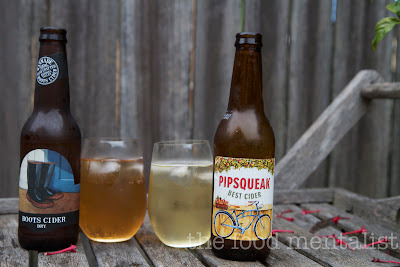 Last week I was in Darwin and I introduced you all to Pipsqueak Best Cider by Little Creatures Brewery in Victoria, an off-shoot of the original in Fremantle, Perth. Well, I have managed to try it this week and it's really good. It is extremely refreshing and you can almost taste it's name. It has a medium body with very fine carbonation, not dissimilar to champagne. It has a nice sweetness which is not too overpowering and it's apple flavour is slightly tart which adds a nice zing and crispness to the cider. At 5.2% alcohol, a 330ml bottle of Pipsqueak will provide you with 1.4 standard drinks. 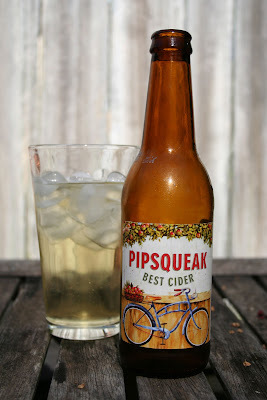 Pipsqueak would be perfect on a hot day, enjoyed over a long lunch with friends. 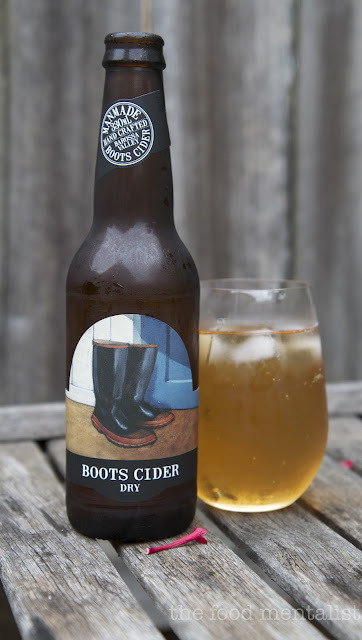 If I had to compare it to Boots Cider I would say that Pipsqueak Best Cider is the female of the two with Boots lending itself to a more 'blokey' type cider. Boots Cider is made by Kellermeister in the Barossa Valley in South Australia which was established in 1976. It is not hard to see why this cider was voted 'Best in Show' at the Adelaide Craft Beer & Cider Fest in 2011. It is delightful! Although I'm not sure it's manly nature would appreciate being referred to as delightful! Perhaps, 'Awesome' would be more fitting? This cider is much darker in colour than the Pipsqueak and it has a nice mild sweetness and apple flavour. A dry malty finish, helps promote this one to a cider with beer-like characteristics, although subtle - it works extremely well. This cider is marketed as being man made using traditional methods. Check out this comical YouTube clip of just how man made this one is actually is. Boots is delicious. Drinking it I imagine mood lighting, comfy dark leather sofas, jazz music or cool beats and a nice cheese platter. At 5% alcohol, a 330ml bottle of Boots will provide you with 1.3 standard drinks. 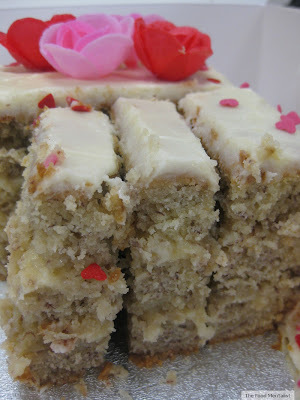 Well, I hope you have enjoyed this week's Cider Sunday, what did you get up to today? Have you visited Costco? what did you think? I might give Boots a try next! And no, I've never visited Costco. we drove past there once, saw the queue for a membership card and just kept driving. Has the queue gotten better lately? Oh Erin, you had to mention Costco, didn't you? We have no such animal up here but the Yank bit of me had a membership at Costco in Knoxville and Orlando for years. There is also Sams Club and BJs too. My stepson lives in Canberra and they have a new Costco too. Lorraine, the queue to get in and out was ok it was just a little congested inside but I think the weekend had something to do with that. A friend from work goes during the week and says it's a dream! Did you end up trying boots or pipsqueak?